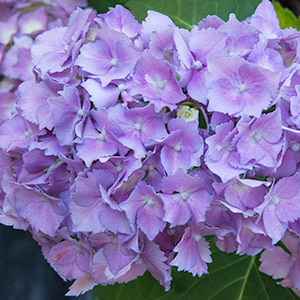 Over 20 varieties of hydrangeas are grown at the nursery to provide amazing summer color. 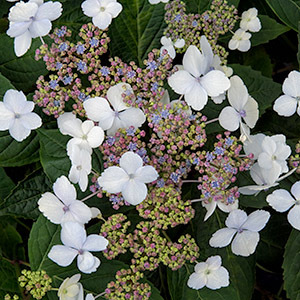 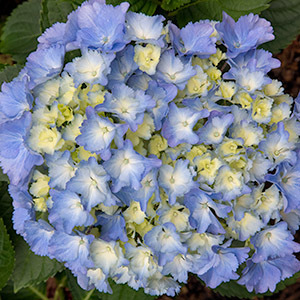 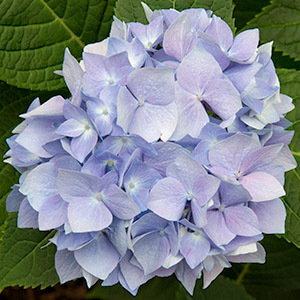 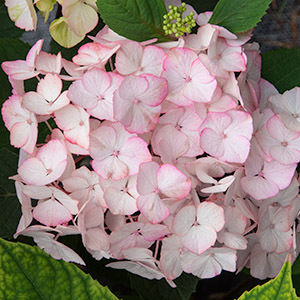 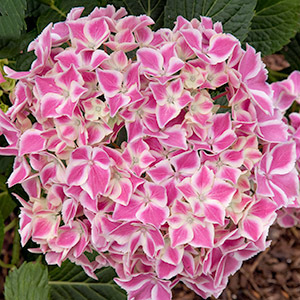 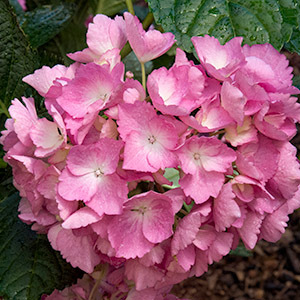 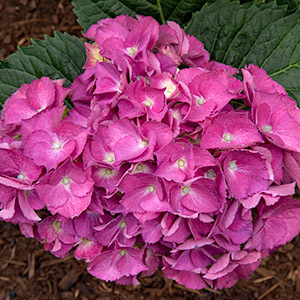 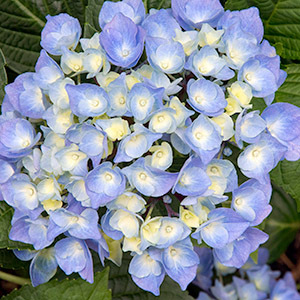 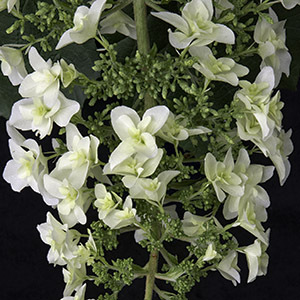 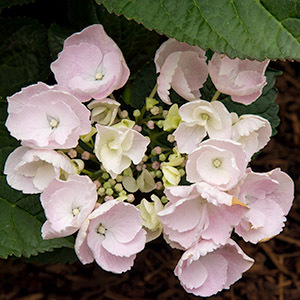 Along with the classic blue hydrangea, you can find pink, white, orchid, and purple shades to create an array of color. 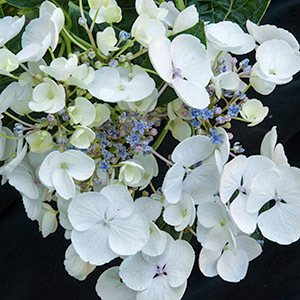 For small spaces there are miniature and low growing varieties. 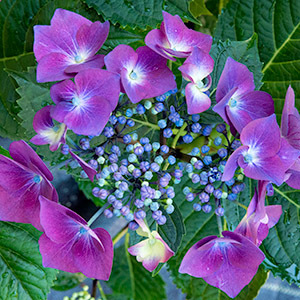 For large properties and woodland settings, large growers are perfect. 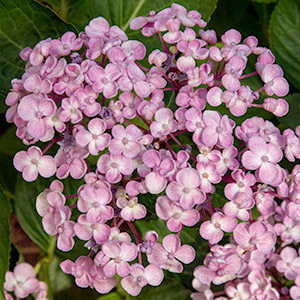 Visit our hydrangea test garden in July for viewing and growing information. 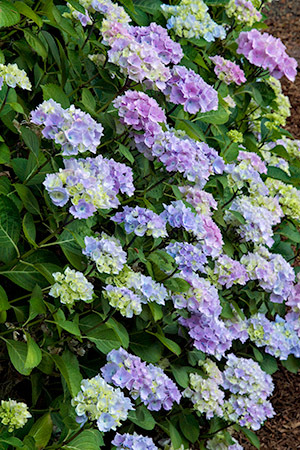 Rhododendrons with hydrangeas provide the perfect combination for spring and summer bloom. 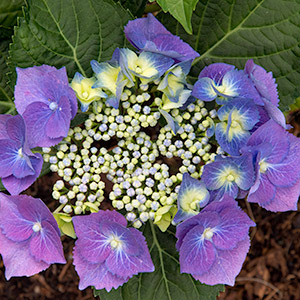 Here is a selection representing the typical color range of various Hydrangeas.